The last two months have been a whirlwind of quilting-related events! I'm sharing a little bit about my experiences because I feel so grateful to be a part of them. 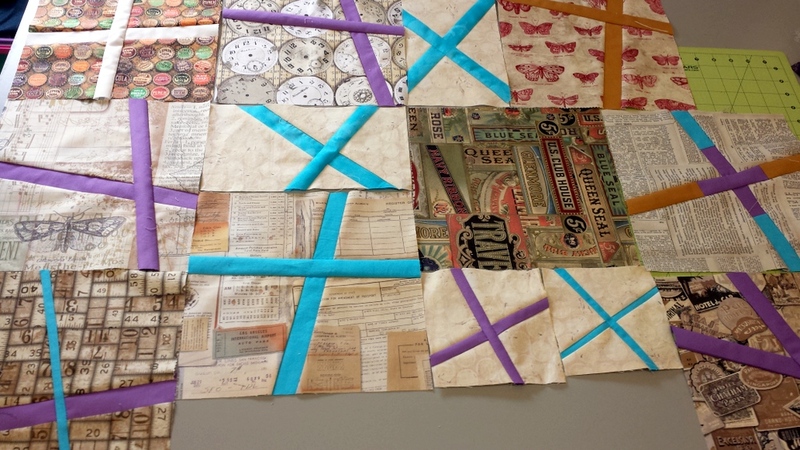 Lecturing and teaching about quilting is more fun than I ever could have imagined (and I knew it would be fun!). For some reason, spring is always a popular time for lectures and workshops. The last two years have been so busy! First up, I presented two lectures to the Colonial Quilters' Guild of Bethlehem, PA, which is right down the road from me! 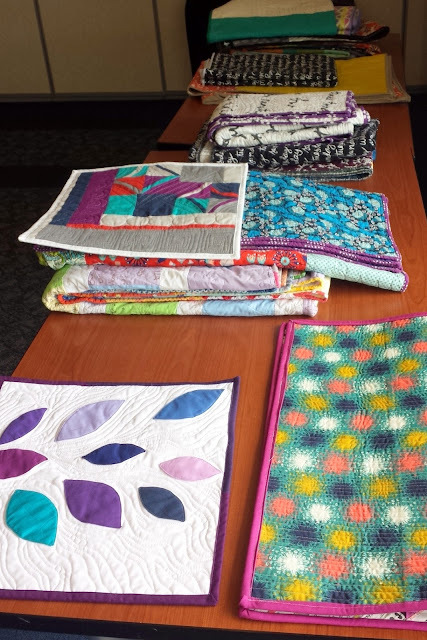 How amazing to only drive a few minutes to a quilt-related event (not the norm for me, out in the boonies of NJ)! 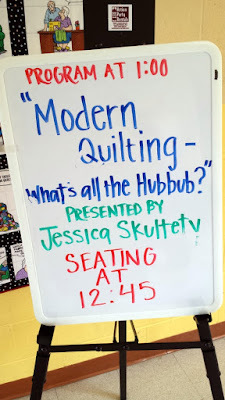 I don't have any pictures of the first lecture, but the second one was the same topic at their quilt show ("Modern Quilting: What's All the Hubbub?"). They booked me twice so that their members could hear the lecture and save room for guests at the show. It was my first time speaking at a show, and it was a huge success! There is so much interest in modern quilting (and what it is, and what it isn't). Thank you, Colonial Quilters! My guild friends Carol and Janet came to visit and support! Thank you!! I also spent time at the quilt show, where I was pleased to see the "Vintage Goes Modern" category. One of the aspects I love most about the modern quilting movement is the breadth of its reach - modern can be so many things. It was enlightening to see how a mostly traditional guild interprets modern. 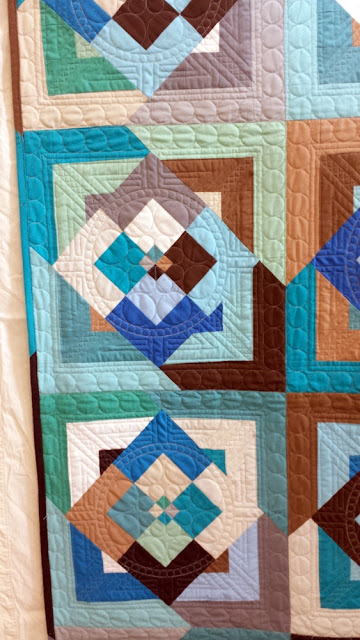 Unfortunately, my phone was dying, but I snapped a picture of my favorite quilt in the challenge area - "Modern Mystery" by Lois Walters (below). Those colors! That quilting! Swoon. Last but certainly not least, I spent the last weekend in the company of the Country Quilters Guild of Pine Bush, NY. What a fun weekend we had. 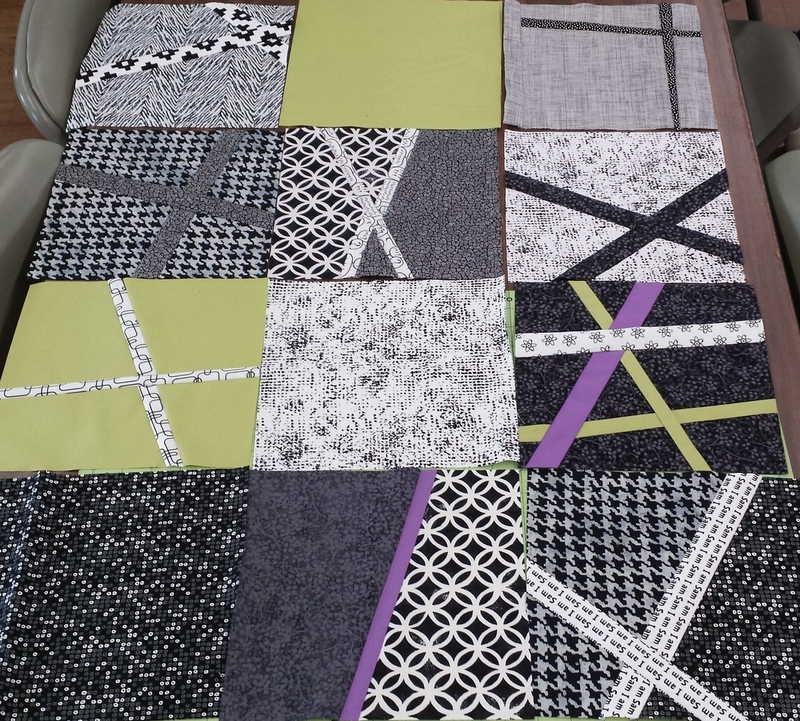 We kicked it off with another "Modern Quilting" lecture on Friday night. One of the greatest moments for me was when one attendee told me that she almost didn't come because she didn't have any interest in modern quilting, but now, she was so excited by the possibilities! Then, on Saturday, I taught an all-day Wonky Crosses workshop. I presented the lesson throughout the day and taught in small groups. It was such a relaxing and exciting experience to see so many guild members experimenting with improvisation and the infinite possibilities. 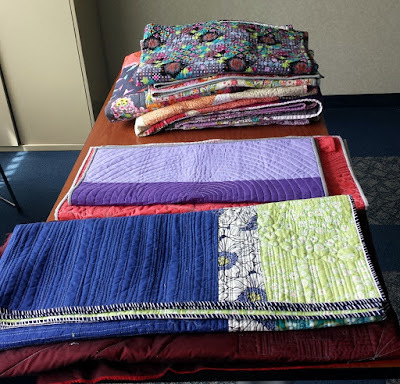 Teaching an all-day class gives me the opportunity to really delve deep into the quilts (and techniques) with the students, and I feel like I got to know these quilters so well. We talked a lot about color play, contrast, and the improvisation mindset. Trisha experimented with varying backgrounds, slicing, and strip width. The evolution of this piece was amazing to watch. Thelma and I had some great discussions about color. I hope she adds in the extra color she was hoping to add (not pictured)! 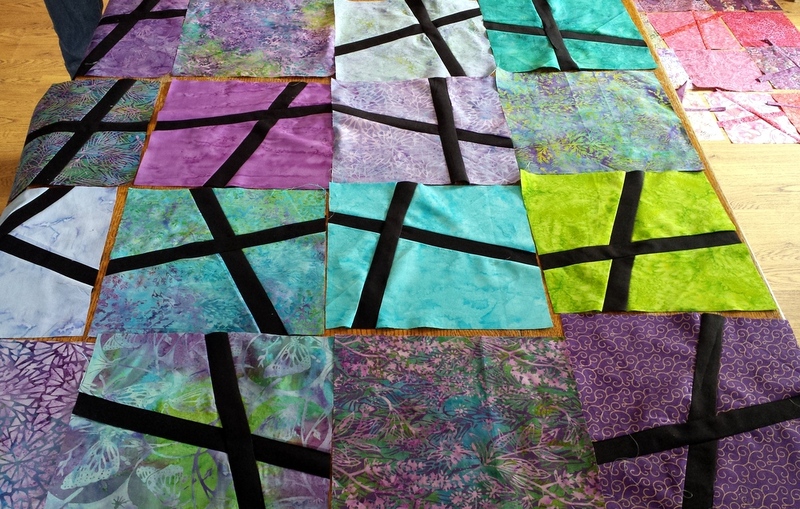 Barbara loved creating crosses beyond one size. Her solids were spot on. Jill and I worked one-on-one throughout the day, and she created most of her crosses in assembly line format. We had no idea what it looked like until the very end of the day! I love her contrast! I talked more about my personal experience in last weekend's issue of The Wonky Press. 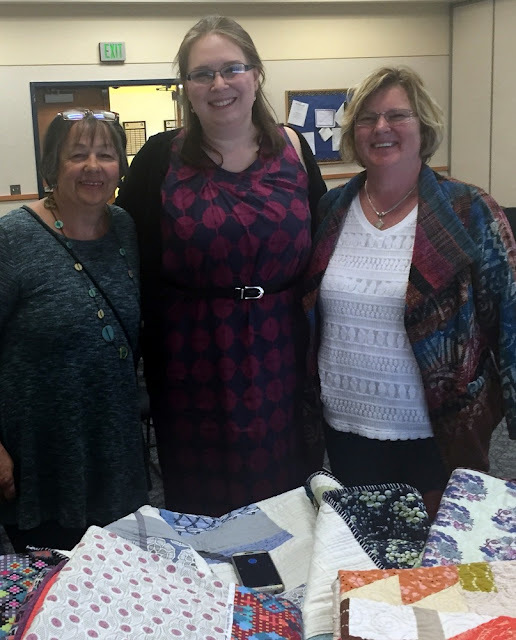 Thank you again to the Country Quilters for a wonderful weekend! My teaching section has been updated with workshop photos (all of those from the workshop above), testimonials, specific pages listing my workshops and lectures, and a contact form. This overhaul took about a month, and I'm very happy with it! If you're interested in hiring me for your guild or sewing event, all of that info is now neatly organized. Right now, I'm starting to book events for 2017, but I still have openings through the summer and end of this year (probably October 2016 will be closed off except for those inquiries and contracts already in progress). Feel free to get in touch! 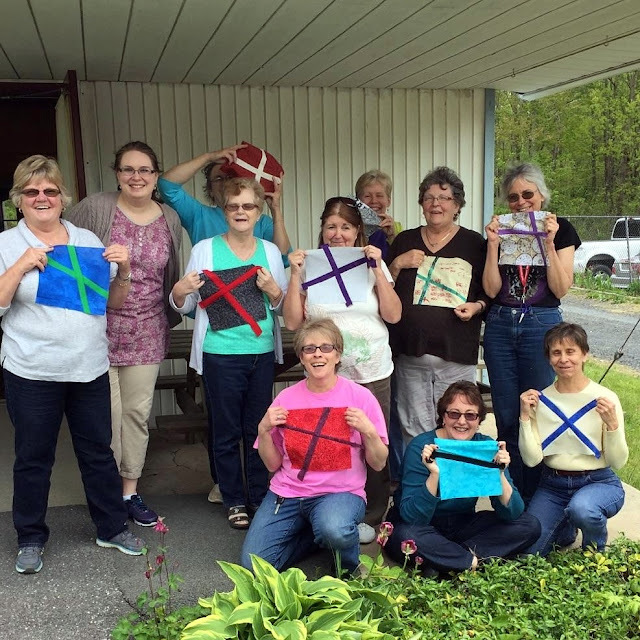 Looks like you had a terrific time with some really adventurous quilters, Jess! For part of my childhood we lived in Clinton, NJ, and I remember going to Bethlehem to shop. You must live nearby!? You look so happy! I bet the class is so much fun, and the skills they learn are something they can actually go home and replicate (unlike some classes, haha). I'm glad you're keeping busy with teaching!! Congrats on all of your teaching successes, and converting people to modern quilting! those wonky crosses from your most recent class look so great.